In order to lower our fee and make acupuncture more accessible to everyone, we offer community acupuncture where the cost is always predictable and affordable. Acupuncture in a group is a chance to experience the healing power of collective energy. 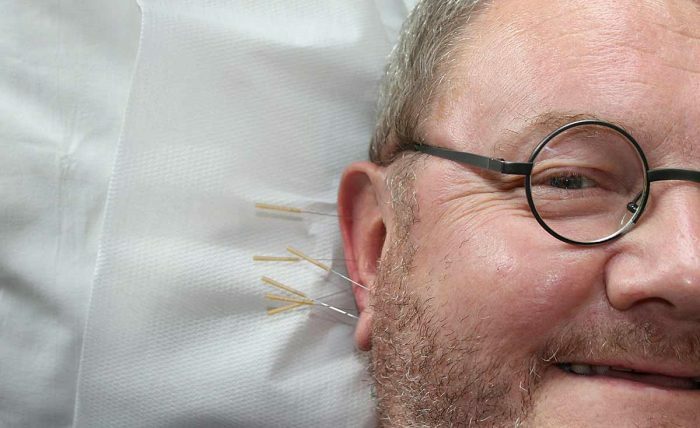 Community acupuncture is not like group therapy. There is no communication between clients but there is camaraderie. During community sessions, few people are treated in the same room simultaneously instead of one person at a time. For example, while the needles are in one person, I can be taking medical history of another person in a separate room after which I will bring them into the treatment room to insert needles. Everyone gets a personalized treatment plan and a private consultation in a separate from the treatment room area. Our quiet space is set up to handle three to four clients at a time. Community sessions last 30 – 45 minutes and the only points used are hands, feet and head but they treat conditions in other parts of the body. Clients are advised to wear loose clothing and avoid treatment when they are hungry. There is no need to schedule an appointment for community sessions. Community acupuncture runs on Tuesdays from 11AM to 5PM. Please come in anytime on Tuesday. Rates are based on your annual income. Below are the income guidelines but of course we are not going to ask for your tax returns. Please note that insurance companies will not allow us to submit sliding scales claims so community acupuncture is cash only. If you want to go through insurance, please schedule a private session.